Are you a current member of the Country Land and Business Association & interested in the Toyota Hilux? Did you know that you may qualify for an exclusive 18% discount. Hodgson Toyota is continuing to offer CLA Members the Hilux at a significant discount to the retail price. (Discounts are also available on other vehicles within the Toyota and Lexus ranges). 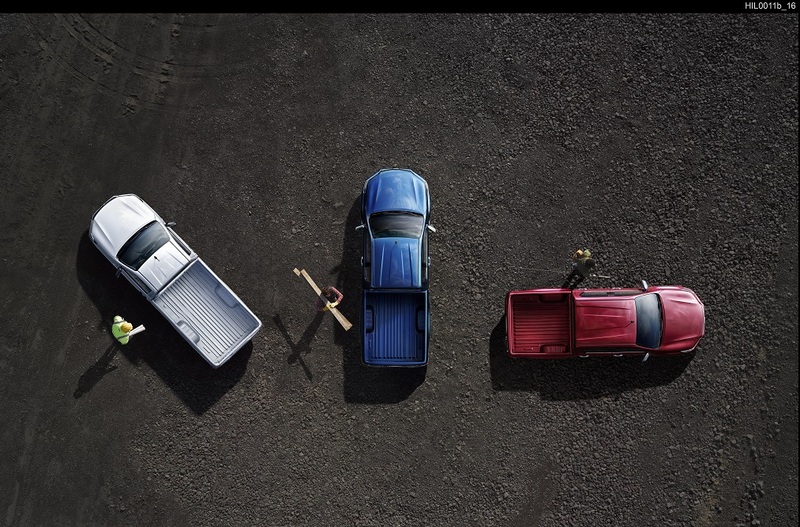 The new, eighth generation Hilux follows its predecessor in offering CLA members a choice of three body styles: single cab, extra cab and double cab. It builds on the model’s established strengths, redefining toughness for rural users with its new, stronger ladder chassis, a reinforced deck structure, improved all-wheel drive capabilities and a greater towing capacity. At the same time, it responds to the growth in use of pick-ups for leisure in recent years, offering a contemporary design, higher comfort levels, advanced equipment features and improved safety, making it more stylish and stress-free to drive than ever before. Conceived to be both a hard-wearing business workhorse and a comfortable leisure 4x4, the entire range is offered with the benefit of a 5 year / 100,000-mile warranty package. Get in touch with the Toyota Business Team on 0191 4140901 for more information.